Search and Rescue professionals have been using chest harnesses and Hill People Gear Kit Bags to keep their vital gear close at hand for years. Now they can rely on a new SAR specific version of the Kit Bag – the V2 Original Kit Bag SAR Version. The SAR Kit Bag was designed with input from instructors at Randall’s Adventure and Training. It features 500D nylon construction in the internationally recognized red. It is based on the V2 Original Kit Bag and retains all of the features. 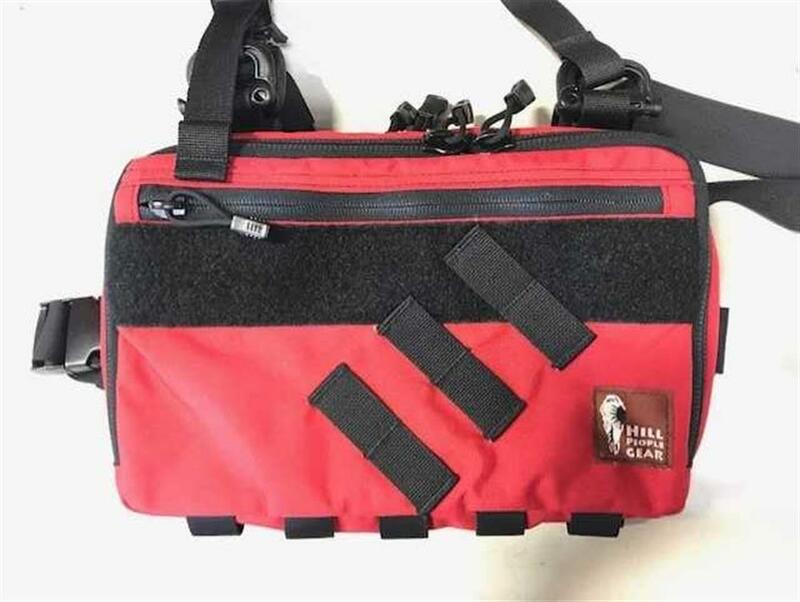 It also adds a loop field on the front for patches, ID, or organizing small gear and a diagonal PALS webbing field (2 rows, 3 columns) for mounting knives, radios, or other tools. Note: The new V2 Original Kit Bag SAR Version is sold out at Hill People Gear but it is currently in stock at 5col Survival Supply. Finally, SAR equipment that isn’t poorly made Chinese garbage.